This new wall applique design is a transparent image, so it goes with any wall color and decor! It’s easy to install as it’s self-adhesive, comes in 5 sections so it handles well, it’s easily removable and reusable. The dimensions are 48.5 inches x 21.5 inches. 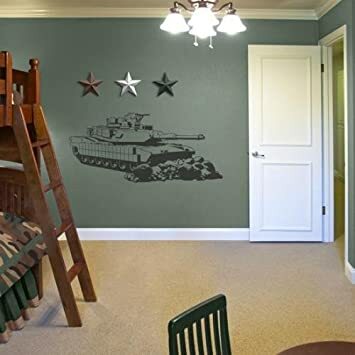 Camo Military Tank Sudden Shadows Wall DecorBuy It!